Prof. SienhoYee is a Changjiang Xuezhe Professor and Chief Expert at Wuhan UniversityIntstitute of International law. He is also member of Institut de DroitInternational. 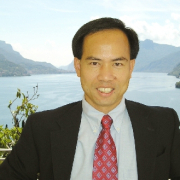 Prof. Yee’s research interests are in public international law,especially the jurisprudence of the International Court of Justice and thestructural questions of the international legal system. His articles haveappeared in fine journals such as American Journal of International Law,Columbia Law Review, and European Journal of International Law. His papers werecited by State parties before the ICJ and his arguments were discussed in opencourt during proceedings at the ICJ. In a paper published in April 2001 heproposed the concept of the ‘international law of co-progressiveness’ andcoined this phrase to capture the spirit of the current stage of internationallaw development following the law of co-existence and the law of co-operation.